The book itself is full of repetivite “filler” – an excellent showcase of how to turn an idea worth a few pages into a book, well done Seth. 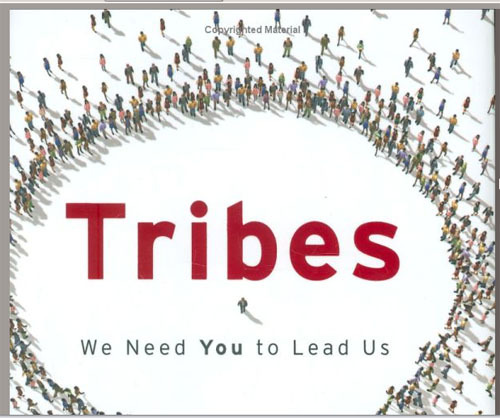 People are hard wired to want to belong, just waiting for you to lead them as a tribe. Reliability, size of company and time in the market are no longer the main selling points, in fact, it may become a liability. People want new innovative ideas, fresh faces and change. The main steps and principles are mercifully listed on a single page spread (88-89) and are as follows. Publish a manifesto. Give it away, make it easy to spread. It’s a mantra and a motto and way of looking at the world. Money is not the point of movement. Track your progress. Do it publicly and make it easy for your followers to contribute to it. Transparency is your only option. Your movement needs to be bigger than you. An author and his book don’t constitute a movement. Changing the way people apply to college does. Movements are made most clear when compared to the status quo or to the movements that work to push the other direction. Exclude outsiders. Exclusion is an extremely powerful force for loyalty and attention. Who isn’t part of your movement matters almost as much as who is.